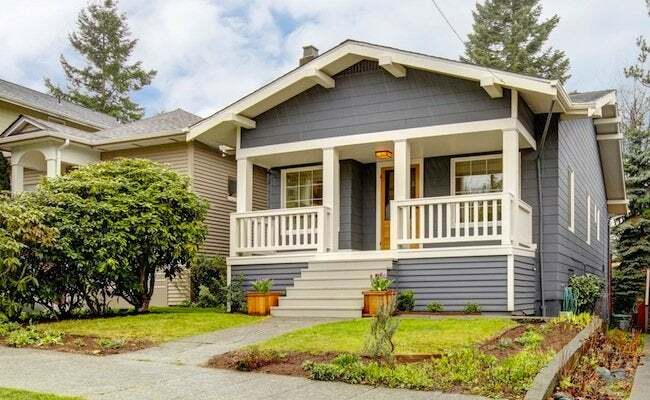 The average American house has more than doubled in size since the 1950s, standing at more than 2,300 square feet. But there is a growing sentiment that bigger is not better. Of course, size is relative. A space might be called home by one family, while another would consider it only large enough for a guest bedroom. But the sustainable, simpler, and smaller idea has its supporters. Whatever space you have, it seems, living well in it is possible. It all begins with a bit of creativity, a few design essentials, and taking advantage of what the marketplace has to offer. Several factors may be fueling an increased interest in smaller spaces. Worries about rising utility and other bills, concern for the environment, more single heads of households, retiring Baby Boomers not wanting excess room, and the growing desire to have more free time to pursue interests and spend less time maintaining a home. Marcia Gamble-Hadley of Gamble Hadley LLC in Seattle, WA, is a longtime advocate for socially responsible housing development. A housing consultant, she was involved in that city’s Pine Street Cottages condominium project. It revitalized 10 cottages, each about 500 square feet, into a successful example of an alternative residential form. He suggests that living in small spaces is made easier by open designs that embrace technology. Those types of homes allow people to create rooms, move walls around as needed and build in as much flexibility as possible. When living in small spaces, that old parental guideline—“A place for everything and everything in its place”—really holds true. Dirty dinnerware, opened mail, business paperwork—it’s all out there. So, a first rule for living well in small spaces might well be to develop the “pick up after yourself” habit. But stuff can’t be put away if there is no place to put it. A next step might be to honestly look at this real baggage we carry with us and see how much we still want to own. Boxes of stuff often are rearranged, moved with us, rarely opened, and even less frequently used. Examine it. Make the truly prized pieces part of your life. Donate the good stuff you don’t need. Recycle the rest. Next, evaluate your space or space-to-be. Be open to possibilities. Plan kitchen cabinets to the ceiling or discover another use for this often-wasted top space. Think vertically. Seek possible areas for storage racks or wall-mounts. Televisions, for example, don’t always have to take up floor space. Look under furniture and cabinetry. Spaces under beds or under sinks can often be put to better use. Consider spaces between interior wall studs for built-ins, unused spaces under stairways for storage, pocket doors to eliminate swing space needs and varying ceiling heights to add spatial interest. Look critically at furniture. Some furniture might offer extra uses such as a bed that converts to a sleeper for guests, an ottoman or bench that opens for storage, and tables that contain drawers or have extensions available. Part of living well in a small space also means not feeling cramped, which means paying attention to details. If building new or remodeling, look where windows or half-doors might “extend” the eye’s views beyond a room. Plan skylights for added volume and light. Vary ceiling heights to add interest and volume. Once you’ve culled your stuff and identified the spaces within your space, you’re ready to personalize. Small spaces no longer necessitate having to use products that sacrifice quality, style, or features to accommodate size. Today’s marketplace offers a wide range of high-end compact products. “High-quality appliances make life a lot easier,” says Angela Warner, a third-generation veteran salesperson at the family-owned Warners’ Stellian appliance stores in St. Paul, MN. Today’s compact appliances, particularly the European brands, have all the modern conveniences but are just smaller, she says. Homeowners are limited only by their budgets. Some examples include: 24-inch-wide, professional-style gas ranges; two-foot-wide, all-stainless refrigerators; convenient dishwasher drawers; four-burner cooktops and compact washer-dryers. Even tools for working around the home pack quality in a small size. Milwaukee Electric Tool out of Brookfield, WI, has long been known for its tools for professionals. One of its latest products is a powerful yet lightweight 12-volt subcompact driver. Ideal for all kinds of home repair projects, it weights only two pounds and uses a lithium-ion battery so there are no cords to clutter a tight workspace. Build your space to meet your needs with today’s many storage systems. A variety of shelving and drawer systems can be affixed to walls and set up quickly. For those who can’t drill into walls, there are other options such as elfa® freestanding™, a shelving and drawer system from The Container Store. Keeping the light and openness of a small space is important but privacy is needed as well. RAYDOOR®, based in New York, is one of many companies that manufactures panels that allow light to travel through the space while dampening sound transmission. Other RAYDOOR products include a telescoping sliding wall without floor tracks, as well as pivoting, folding, and fixed panels.